Thinking about one is virtually impossible without reference to the other. Ventilation is to insulation as Stan Laurel was to Oliver Hardy: very different indeed, but thinking about one is virtually impossible without reference to the other. 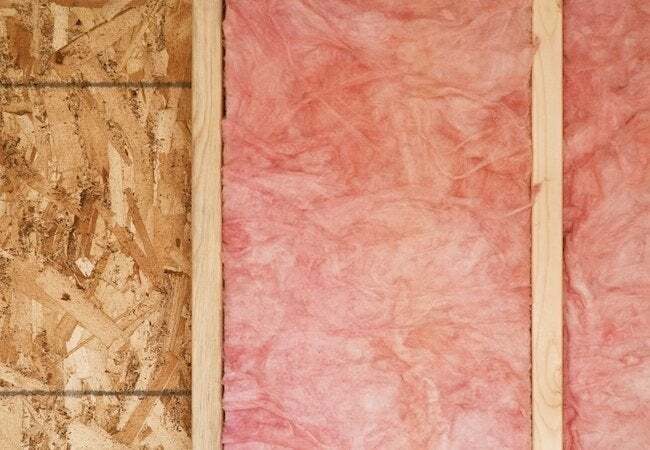 The purpose of insulation is twofold: the fluffy fiberglass batts, loose fill, or rigid panels insulate you from the cold outside and seal in the heat your heating system generates. An appropriate insulation barrier conserves energy since lost heat (or cool, in the case of air-conditioning) translates into additional fuel that must be used to make up for the loss. R-value is a key concept. The R-value is a measure of insulation capacity. In a cold locale like, say, Minneapolis, you want high R-values, perhaps R-38 in the ceilings and R-19 in the walls and floors. With fiberglass insulation, that would represent layers of roughly ten and five inches, respectively. In designing a house with thick layers of insulation, the designer will specify wall and ceiling thicknesses that are adequate to accommodate the thicker insulating layers. That’s why much new construction in northern climes has walls that are framed with two-by-sixes rather than two-by-fours, providing an additional two inches of space for rigid insulation and added R-value. But what about that insulation-ventilation connection? Where there’s a lot of insulation, there also needs to be adequate ventilation. The insulation needs to “breathe” to do its job, so there must be a flow of air to the outside surfaces of the insulation. Paradoxically, insulation also needs to be sealed off on the inside surfaces. Walls or ceilings must be lined with a vapor barrier, a layer of a watertight material. Until recently, this was typically polyethylene plaster sheeting, but there are also new proprietary products that are designed specifically for use as vapor barriers. The vapor barrier is intended to limit the movement of moisture. When the airborne water molecules normally found inside the home are allowed to commute through the insulation, they will condense when they meet up with cooler air in the wall. The condensation will then accumulate, and the insulation will become damp. This has two consequences: First, wet insulation is a very inefficient insulator; second, moisture within the walls or ceilings of a house can lead to peeling paint outside or inside and even decay and rot in the wooden structures. If you add insulation to an attic, you almost certainly will have to add ventilation, too. The options include vents in the soffits (the underside of the roof overhangs outside), roof, or walls of the house. These vents will also help keep the house cool in the summer. The rule of thumb is one square foot of ventilation for every five hundred square feet of insulated surface. Another word often uttered in the same breath as insulation is infiltration. Infiltration refers to the flow of air that enters the house through gaps around windows, doors, electrical boxes, and other exterior openings. A properly installed vapor barrier closes off much infiltration and the exterior of a new home typically is wrapped in an envelope of house wrap, a fabriclike covering that has superceded the tar-impregnated building paper that for many years was standard. Newer house wraps bear proprietary names like Typar and Tyvek. These products serve the dual purpose of simultaneously limiting air infiltration while allowing moisture to escape.